Now you can get flirtatious, fluttery lashes that are so beautifully fanned out, so expertly separated and defined that they could almost be fake, except they're not! L'Oreál Paris presents the new False Lash Butterfly Intenza Mascara for the ultimate lash metamorphosis. Taking a cue from the latest trends on the catwalk, False Lash Butterfly Intenza Mascara offers the spectacular, fluttery volume as seen on the most glamorous stars right now.Use it to recreate L'Oreál brand ambassadress Bianca Balti's stunningly dark, dramatic gaze. 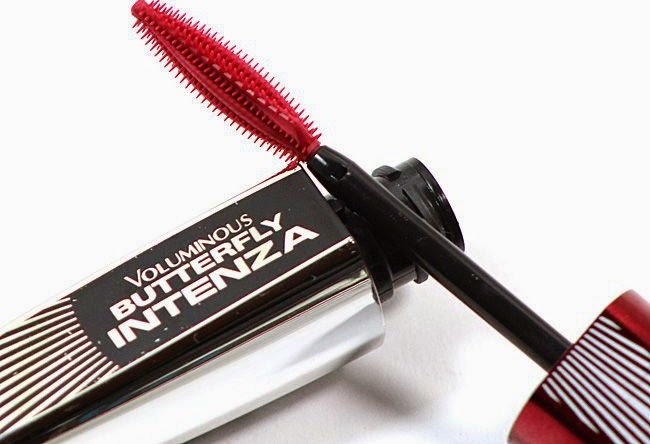 False Lash Butterfly Intenza Mascara breaks all previous lash records in terms of supreme volume, an extremely spread-out effect and intense drama.It's amazing double wing butterfly brush works in two ways to deliver astounding results: side one spreads out lashes, side two plumps them with maximum volume. The wand's ergonomically designed lash-line shape glides over every single lash from one corner to another.It's flexible arch gives a lift to lashes at the outer corner, fanning them out with a spectacular length for added glamour, while it's innovative formula builds length and strength.The eyes are framed with the most charged lash fringe. For an exceptional butterfly lash look that’s utterly irresistible, almost unreal!